As your largest (and most exposed!) organ, your skin gets quite the workout throughout life. Laser skin treatments can help take your skin from blah to beautiful by reducing signs of aging, sun damage, scarring, and uneven tone and texture, letting beautiful, healthy, new skin shine through. Over time, the effects of aging, exposure to the sun, lifestyle habits, and genetics can all have an impact on your skin. Visible signs of aging such as fine lines and wrinkles, sun and age spots, uneven skin tone and texture, and hyperpigmentation are but a few common skin concerns—and it’s likely that we can help you with one of our state-of-the-art laser skin resurfacing systems. Laser skin resurfacing, sometimes called “laser peel,” involves using a carbon dioxide (CO2) laser to remove areas of damaged or wrinkled skin, layer by layer. The procedure is most commonly used to minimize the appearance of fine lines, especially around the mouth and the eyes. However, it is also effective in treating facial scars or areas of uneven pigmentation. Laser resurfacing may be performed on the whole face or in specific regions. Often, the procedure is done to complement another cosmetic facial procedure, such as a facelift or eyelid surgery. Most laser resurfacing treatments work in essentially the same way. First, the outer layers of damaged skin are stripped away. Then, as new cells form during the healing process, a smoother, tighter, younger-looking skin surface appears. The biggest difference comes in how intensely and in what pattern the lasers emit beams to treat the skin. There is no one “best” laser—just a laser treatment that is better for you. Our licensed aestheticians will recommend the right laser technology for you based on your skin type and condition as well as your desired results. We offer a number of cutting-edge lasers that provide varying degrees of resurfacing, depending on your needs. During a complimentary consultation and skin evaluation, our licensed aestheticians will help you explore your options and determine which system will provide optimal results for you. We often recommend this surgical laser treatment for patients mostly concerned with signs of aging. 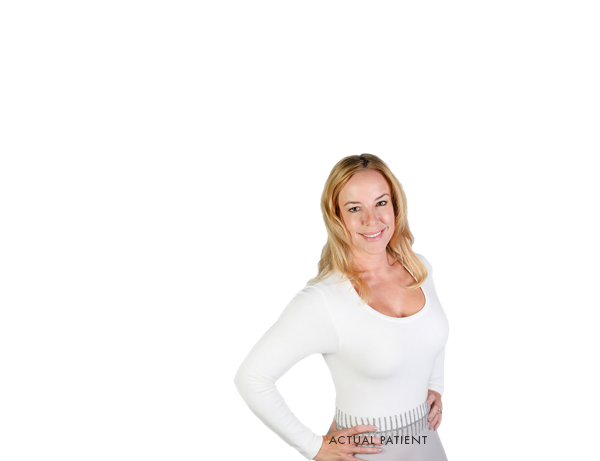 Fraxel is the original fractional laser skin resurfacing treatment and it is still one of our most popular options for achieving healthier and more youthful looking skin. The VBeam Pulsed Dye Laser is a great system for treating facial spider veins, rosacea, scars, stretch marks, leg veins, red birthmarks, and hemangiomas—quickly, conveniently, and comfortable. This is our preferred recommendation for vascular marks, and most of our patients are thrilled with their results. This non-invasive and totally comfortable treatment takes only 30 minutes and begins work almost right away. Clear + Brilliant is a great option for improving skin tone and texture, reducing pores, and softening the appearance of age spots and freckles.